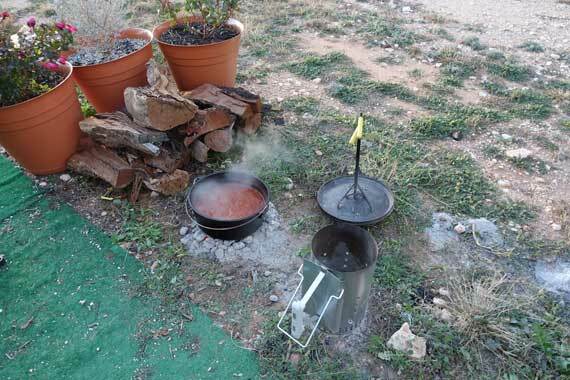 Now that it’s getting cold outside (we’re in West Texas, so it’s just now starting to get cold), I figured it’s time to break out the cast iron dutch oven chili recipe to warm things up. It’s hard to beat a good bowl of chili when the temperature starts to drop. I also rarely pass up an opportunity to break out the dutch oven to cook a meal. Makes about eight servings. 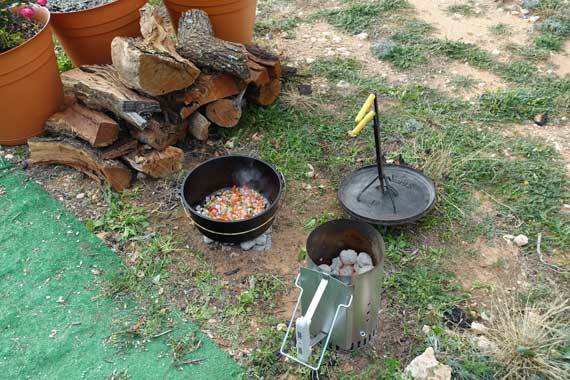 If you’re going to be camping for a couple of days, this is a great dish to make on the first day, then use the leftovers for chili dogs, Frito Pie, etc., on the following days. Just bring along a plastic container to put the leftovers in, then toss it in your ice chest. If you want less, just cut the recipe in half. 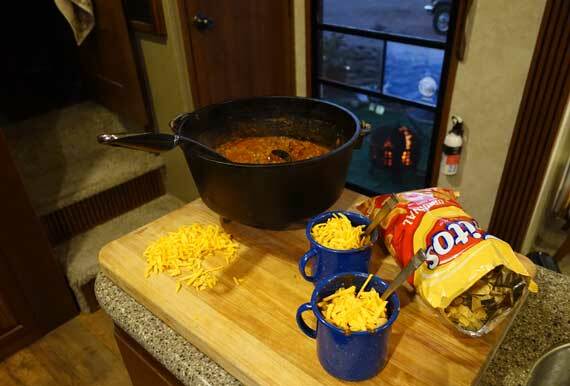 If you’re planning on making your chili on your camping trip, it’s always best to do a little pre-planning. You can chop all of your fresh vegetables beforehand, toss them in a Ziploc and freeze them. Since they all go in the pot at the same time (excluding the garlic), just toss them all in a single bag. Same goes for your spices. You can pre-measure and put them in a separate Ziploc. Just be sure that your beef stays cold until you’re ready to use it. 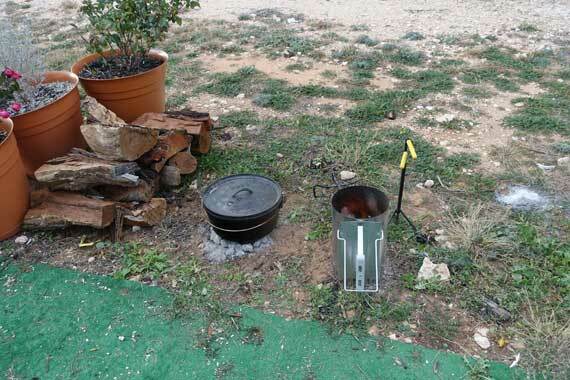 Before you get your chili started, be sure your dutch oven is properly seasoned. You don’t want everything to stick to the bottom and create a burnt mess. I don’t put charcoal on the lid of the dutch oven when I’m making chili, so twelve briquettes underneath for frying should do the trick. Once you’ve got it hot, heat up your oil in your dutch oven until its shimmering. Add your onion, bell pepper, jalapenos, chili powder, cumin, cayenne and salt, and cook until the bell peppers and jalapenos are soft and the onions are translucent. Add the beef and garlic and cook until the beef isn’t pink anymore. Make sure that you break the beef up well with a wooden spoon or nylon spatula. 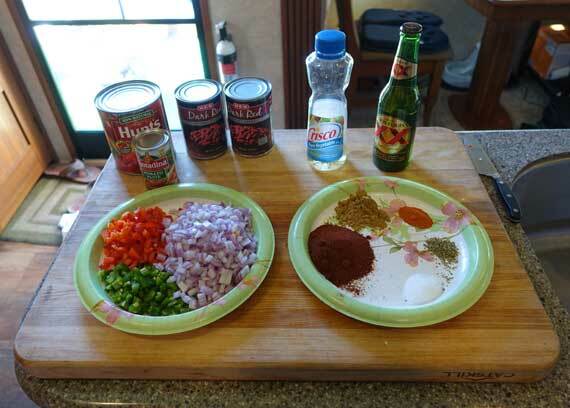 Add in the beans, diced tomatoes (along with the juice), tomato paste and beer (or water). Cover it up and let it simmer for for about 45 minutes. Remove the lid and let simmer for an additional hour (this will let some of the liquid evaporate and thicken it up). Add some extra salt and pepper to taste. We top ours simply with Fritos and shredded sharp cheddar cheese, but you can dress it up more with diced onions, chives or sour cream if you want. We like to use Fritos instead of crackers since they don’t get stale as fast and can double as great tinder in a pinch. This recipe makes a lot of chili (serves about eight big appetites), but it freezes well. You can also use it the following day for chili dogs. 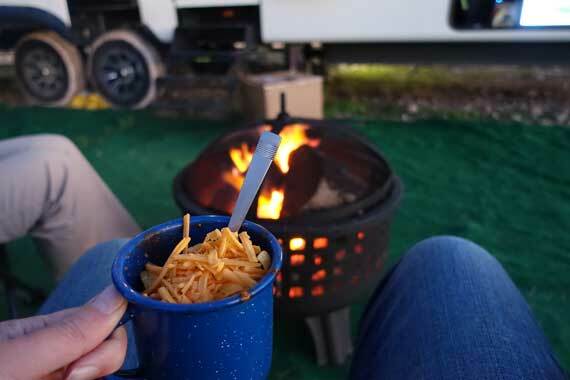 We like to serve up our dutch oven chili in enamelware mugs , that way everybody can sit around the campfire and eat without burning their fingers. 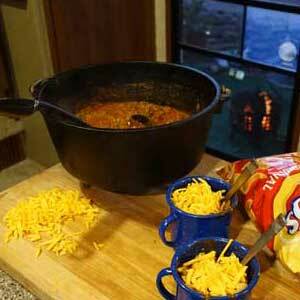 You can spoon it right out of the dutch oven, toss in some Fritos, top it with cheese, and you’re ready to go. Now all you need is a nice campfire and some good company to enjoy it. Makes for some great leftovers! Love making this when it’s cold out. Used this recipe to break in a brand new cast iron Dutch oven over a fireplace in my dining room. The flavor was out of this world. Nice recipe! We tweaked that recipe quite a bit over the years. 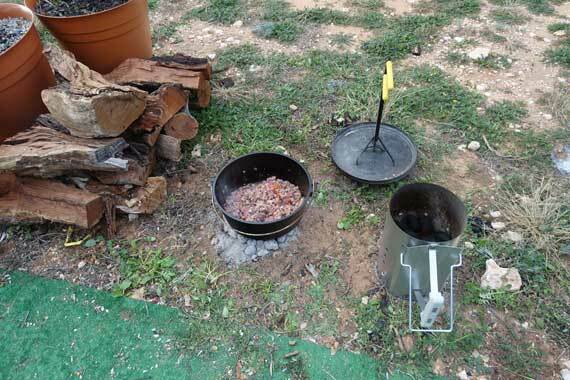 I think its one of my favorite cold-weather dutch oven recipes, behind our chicken and dumplings recipe. Just made this at home with a few additions. Throw in some corn and replace one peńo with a habanero and this is even more epic! This will be made on many camping trips next summer as well. Thanks for the great recipe! Awesome. Habaneros are a bit too hot for me, but I’ll have to give the corn a shot. Except for cornbread, I’ve never put corn in my chili before.